This past week, surrounded by every sort of chocolate candy that the human brain can imagine, I learned something very important about myself. Of course I ate the candy. How could I not? It is the holidays, after all, and I’m not going to deprive myself during the holidays. But I guess you could say that I went a little overboard. Or maybe a lot overboard. But this is what I have learned: When I fall off the wagon – and I mean REALLY fall off the wagon (as in I-can’t-even-see-the-wagon-anymore) there are gummi bears in my near future. 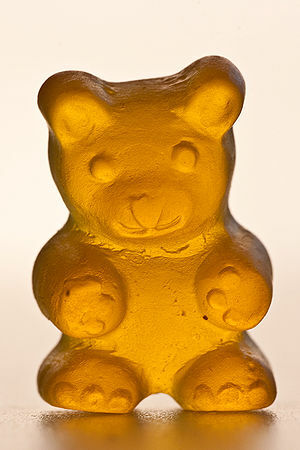 And when the gummi bears arrive, I know that it is time to sit down and think and get myself back on track.